This chocolate cake concludes the Passover meal on a rich note (just as a holiday dessert should). 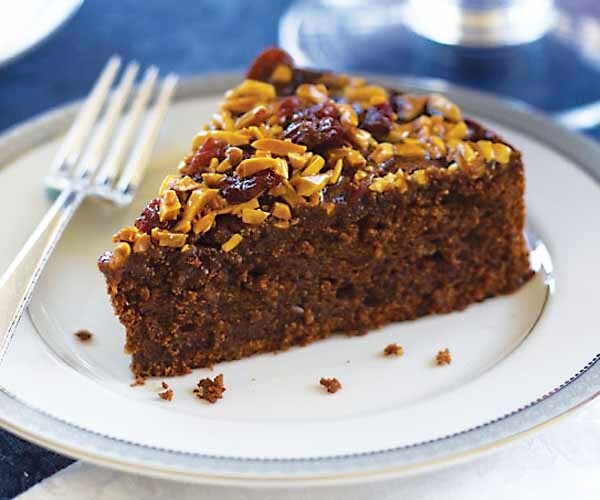 Dried cherries and toasted almonds are folded into a caramel topping and then drizzled over the cake, giving it a crisp (think peanut brittle) topping. I don’t often use margarine, though it ensures that this cake keeps with kosher rules. Most large supermarkets carry matzo cake meal around the holidays. Position a rack in the center of the oven and heat the oven to 350°F. Line the bottom of a 9-inch springform pan with parchment paper, then grease the paper and sides of the pan. 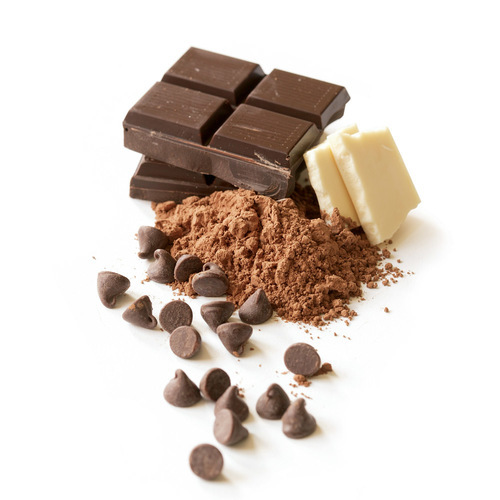 Melt the chocolate in a medium bowl set in a small skillet of hot, barely simmering water. Remove the chocolate from the heat and let cool for a couple of minutes. 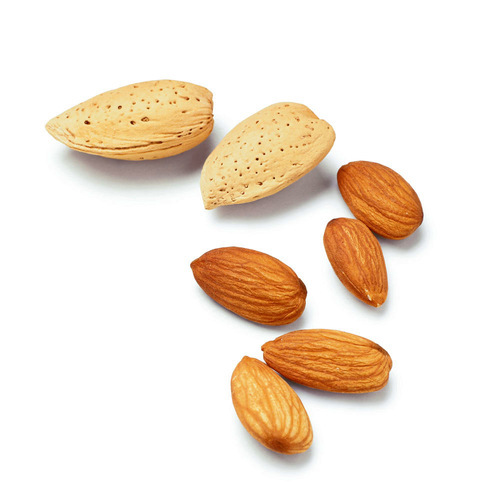 Meanwhile, process the almonds in a food processor until finely ground and set aside. In a stand mixer fitted with the paddle attachment (or with an electric hand mixer), beat the margarine with 3/4 cup of the sugar and the salt on medium speed until soft and fluffy, 2 to 3 minutes. Add the egg yolks and vanilla and mix on medium-low speed until smooth. Gently fold in the chocolate, ground almonds, and matzo cake meal. In another large bowl, using the whisk attachment or clean beaters, beat the egg whites on high speed until they form soft peaks, about 3 minutes. Add the remaining 1/4 cup sugar and beat until the egg whites form stiff peaks, about 1 minute more. In three batches, use a rubber spatula to gently fold the egg whites into the chocolate mixture. Scrape the batter into the prepared pan, spread evenly, and bake until the top starts to brown and a toothpick inserted into the center comes out with just some moist crumbs attached, 35 to 40 minutes. While the cake is baking, soak the cherries in the liqueur in a small bowl. Let the cake cool in the pan on a rack for 15 minutes. In a heavy-based medium saucepan, stir the sugar and 1/2 cup water together over medium heat until the sugar dissolves. Raise the heat to medium high and cook, swirling occasionally and brushing down the sides of a pan with a wet pastry brush to wash down any sugar crystals, until the caramel turns a deep, amber brown, about 6 minutes. Carefully add 1/4 cup water (it will bubble up), and whisk together until the mixture acquires an even, syrupy consistency. Drain the cherries and then stir them into the caramel, along with the chopped almonds. Remove the sides of the springform pan and set the cake on a large rimmed baking sheet. Pour the caramel mixture evenly over the cake (it’s fine if it spills over the sides). Let the cake cool completely to room temperature before transferring to a cake stand and serving. The cake will keep, covered and refrigerated, for up to 3 days. 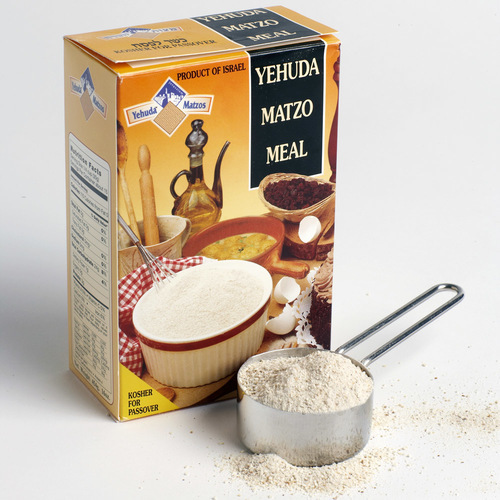 For Passover, you can't have leavening so that's why you can use Matzo Cake Meal. I signed up just so that I could leave a review. You NEED to change the title of this recipe. It is NOT flourless. It has matzo cake meal, which is made with FLOUR. Very misleading. This was an awesome cake, everyone loved it! Will be sure to make this every year. Would like to have tried it but it is not flourless so i was disappointed.